2017 was a banner year for the Santa Cruz Museum of Natural History. We experienced nearly 20 percent growth in attendance and membership due to community support for our school and public programs, exhibits and special events. As a fully independent nonprofit organization, we recently launched our Year-End Annual Appeal for general contributions, which make up about 15 percent of the Museum’s budget. Donating to the Museum is an investment in science literacy and future environmental stewardship that builds on the legacy of our founder Laura Hecox, whose birthday we will celebrate on January 27 with a full day of activities. More to come on that in coming weeks. Meanwhile, we are working on several other exciting initiatives in the months ahead, including a new after-school program for our local Gault Elementary to provide outdoor STEM learning experiences, and plans to translate our exhibit and education materials into Spanish. We are also planning bilingual Investigation Station exhibits that promote critical thinking and encourage multi-generational audiences to interact with artifacts and real specimens. The year ahead will feature exciting Rio Theatre speakers, a Summer Kick-Off Festival, children’s camps, and a host of fascinating Naturalist Night lectures. As you may have seen in front of the Museum, we also are expanding our native plant garden in partnership with the City of Santa Cruz and Groundswell Ecology to create additional educational and interpretive opportunities. If you supported the Museum in 2017 by attending a program, making a contribution or joining or renewing your membership, we thank you. 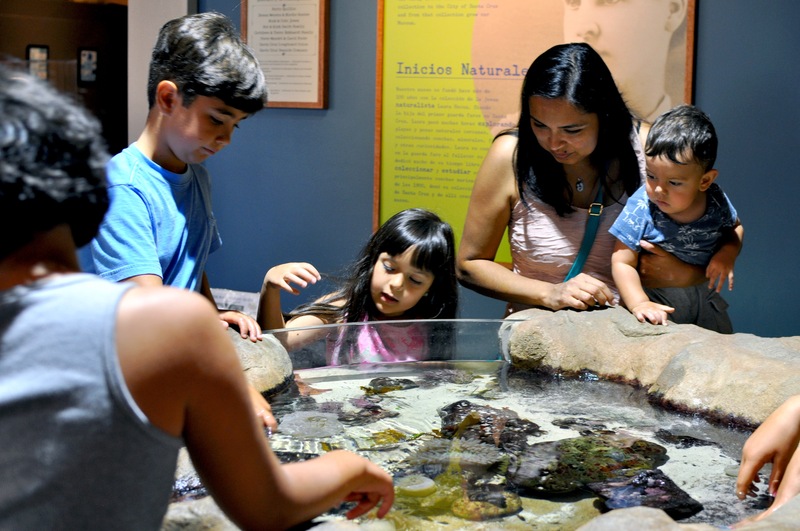 We hope you’ll support your community museum once again with a New Year’s Gift. If giving to local nonprofits is one of your new year’s resolutions, we make it easy by offering monthly giving online. $100 supports a class exploring Ohlone culture through our galleries and garden. $250 supports a three-month hands-on Investigation Station tabletop exhibit. $500 supports 5 local classes examining the wetland habitat of Neary Lagoon. $1,000 supports 10 classes discovering the wilds of Pogonip Open Space. We look forward to serving you in 2018. See you soon at the Museum!